Hey! I’m back! I hope you had a wonderful holiday. Now it’s time to move on from family time to party time with New Years Eve just a few days away. Do you have some awesome plans or more of a last minute NYE planner? Well if you’re planning on hosting your own shindig (bonus: you don’t have to fight for a cab home) impress your guests with your own photo booth. If you would rather leave it to a professional then there are plenty of photo booth rentals Austin. Everyone loves to ham it up in front of the camera and it gives your guests a great souvenir of their super fun night. 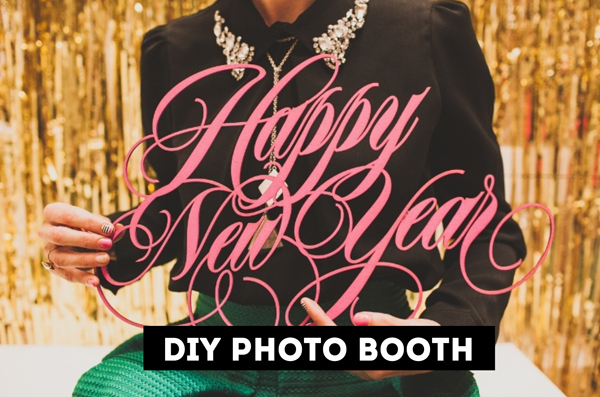 Here are eight glam and glittery DIY photo booth options to try. Head over to Apartment Therapy to see the full post with all the DIY tutorials. Now, you will need some basic equipment to get semi-pro looking results. 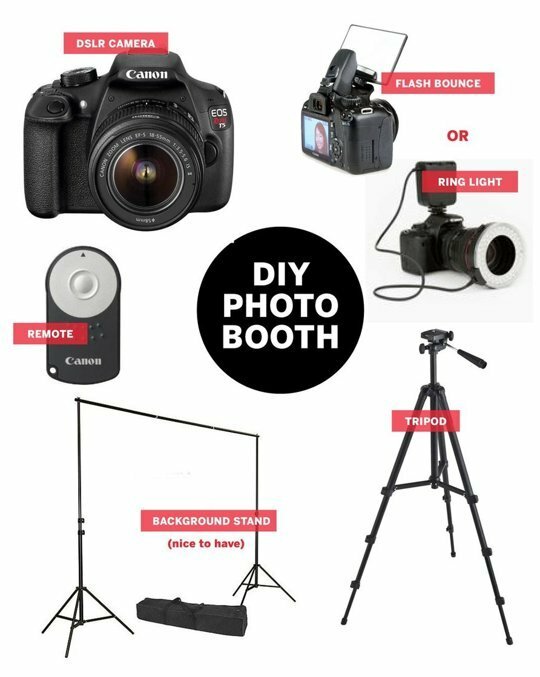 Here are my recommendations for your basic at-home photo booth set up. If you have a spare wall, you can skip the background stand. The most important element is some good friends and good times. Have a happy new year! Great roundup!! Happy New Year!